Just saying hello. The Dr, Brender American Surgical Clinic is up and running at the Khmer Soviet Friendship Hospital (KSFH) in Phnom Penh, Cambodia. We have 3 surgeons, a full time senior supervisor, a rotating senior surgeon, and R5, R4, & R3 surgical residents from UCI, UCLA, USC, & Cedars Sinai. We do not charge for our services. We have provided the hospital 2 laparoscopic towers & laparoscopic instruments. We pioneered laparoscopic surgery at KSFH. Elliott Brender MD Thanks for joining the new forum Dr. Brender! Do you perform pediatric surgeries at KSFH? If so, I may be in communication. I'm the Medical Liaison for an NPO called Destiny Rescue in Cambodia (Phnom Penh, Kampong Cham and Siem Reap). I work with adolescent girls primarily between 14-18 years of age that have been rescued from sexual exploitation and slavery. Some have infants. Would be great to learn more about your services, as we have surgical needs that arise. Happy to send you an email to connect further. Yes we do pediatric surgery. Hernia, appendectomy, IHSS (pyloric stenosis), most of the routine pediatric needs. We do not do complex procedures. We are happy to evaluate everything & we do not charge for the evaluation. Elliott Brender MD Great, thanks Dr. Brender. I'll be in communication via email. I came across a great article and resources by Harvard Medical School published 10/31/2018 titled "Help Wanted". Click here to read the article. Would love to hear from more members about your surgical work i.e., where you are working, types of surgeries, greatest challenges etc. Just returned from my 11th trip to Cambodia. We have a clinic at the Khmer Soviet Friendship Hospital. We put on a presentation of what we have done over over the past 11 years. 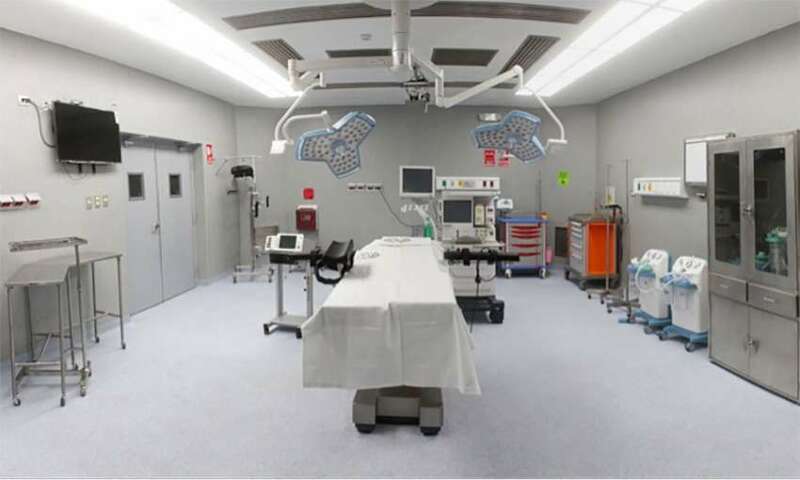 We are responsible for bringing the hospital into the 21st century by supplying 2 laparoscopic towers & enough equipment to perform laparoscopic surgery. Did a live laparoscopic cholecystectomy that was transmitted into the classroom for everyone to watch. I had our local surgeons select the case. Would up doing a very difficult acute cholecystitis, lots of inflammation, successfully. Our clinic will be expanding from one to two days a week now. Invited the American Embassy personnel, the Phnom Penh Rotary club & other sponsors to watch & see how we have been spending their money. They were very pleased. I have an ongoing crew of one permanent supervisor, one rotating supervisor, & one surgical resident. We have 4 schools providing residents, UCI, UCLA, USC, & Cedars Sinai. What are our most difficult issues - a lack of infrastructure, broken & worn out equipment. We make do - this is the interesting part. I just bought them a neurosurgical operating microscope. The neurosurgeon then did a difficult brain stem tumor successfully with no neurologic damage and a full recovery. Elliott Brender MD Thank you for sharing! It is wonderful what you are doing in Cambodia! Glad this past trip was successful for you and your team! Yes, a lack of infrastructure, broken and worn out equipment must be a great challenge. I'm wondering if the nonprofit organization THET may be a resource and potential partnership for you... Biomedical Equipment / Health Technology Management https://www.thet.org/our-work/bme/. Although they are not currently operating in Cambodia, their website states "We are always looking to develop new partnerships and are interested in being contacted by any prospective partners who share our vision." If I come across anything else, I'll be sure to pass along information, if you're interested. Curious how other surgical members deal with this issue? We'd love to hear from you! All the best Dr. Brender and thank you. Valerie Colgate, MSGH, CCTSS I wrote to them. They appear to be for Brits only but I'll see if they respond. Improving surgical care for children, in particular, is a clear asset toward achieving the SDGs. To that end, the Global Initiative for Children’s Surgery—a consortium spanning 13 pediatric specialties—has drawn up adaptable guidelines for essential surgical care for children in LMICs. The guidelines—reflecting the needs as determined by LMIC surgeons themselves—aim to help LMICs advocate for more resources, offer a template to support surgery at all levels of the health system and establish a minimum standard of care. Please see attachment for guidelines. Would love to hear your feedback regarding these minimum standards in relation to the country where you work. Are these standards currently implemented? If so, how? If not, are they feasible? Biggest challenge(s)? Learn more about how to request pulse oximeters for your surgical trip! Julie Winn Thank you for sharing! Any providers addressing TB in LMICs? Would love to hear more about your work. In summary, the author discusses how surgery "might be the only alternative for a group of patients who can no longer be helped by medical management", and the great challenges it presents in LMICs.